If you’re from Sydney or have ever visited, chances are you’ve walked across the Pyrmont Bridge. It’s the pedestrian swing bridge which spans Darling Harbour, linking inner-city Pyrmont and the CBD. Maintaining a more than 100-year-old heritage-listed bridge is no mean feat. 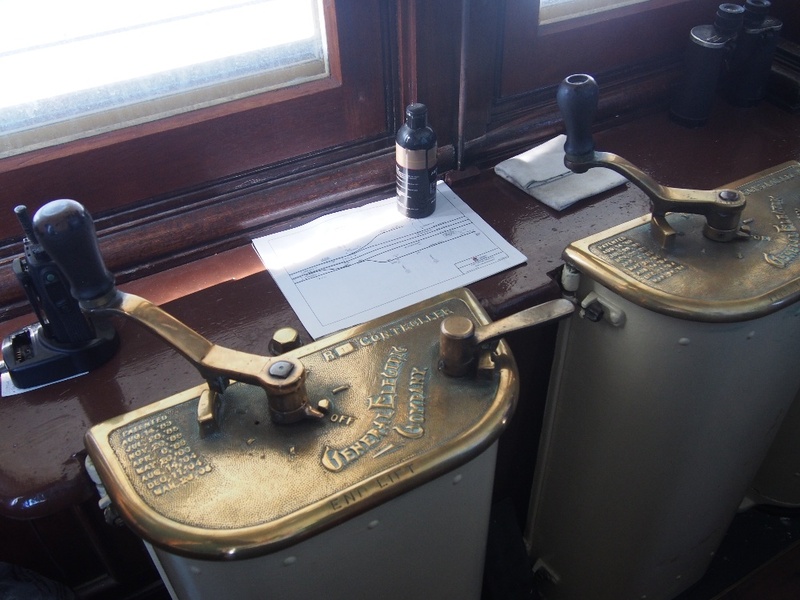 But a new 3D modelling process with data entered via iPads – which ARRB recently checked out – is proving a big help. ARRB Chief Operating Officer Richard Yeo, and Varshan Ratnanathan and Graeme Kashmer - both from ARRB’s Sydney office and our Future Transport Technology team - did a site visit to discuss and see the use of a new Building Information Modelling (BIM) supported approach to drive efficiency and value for the asset management of this historic bridge structure. 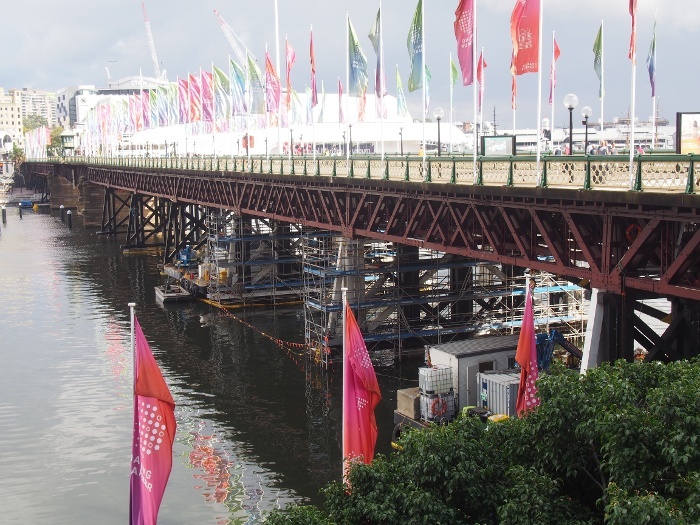 They met with the precinct manager, the bridge inspection team, and representatives from the organisations appointed to undertake major restoration works on the bridge piers. The bridge BIM model was developed in 2014 as a means to capture the complex elements of the heritage structure. A mix of LIDAR survey and available drawings were used to develop the three dimensional digital model of the timber truss structure. The bridge inspection team indicated dramatic gains in efficiency with the annual inspection reduced from six months’ duration to three weeks. Rather than days spent collating handwritten paper records from each inspection, the results are now available live, as the inspection proceeds and data is entered into iPads on site. The major works to restore the bridge piers are very complex given the geometry and large timbers involved. It was commented that hundreds of thousands of dollars have been saved through use of the 3D digital model of the bridge. Indeed there have been few and only very minor contract variations associated with these complex works. 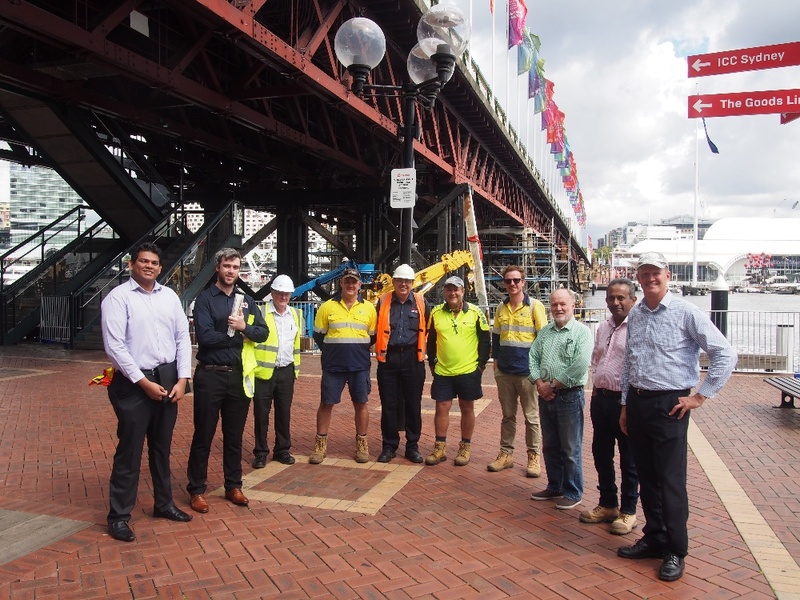 Overall development of the BIM for the Pyrmont Heritage Bridge has enabled a terrific, next generation approach for the asset management of this structure with many, many times the relatively small cost of the model development saved in the process. As the National Transport Research Organisation, ARRB congratulates all involved on this great example of putting BIM into practice for asset management of transport infrastructure.